To make the best out of our location and its proximity to the lagoon, we have a modern dock ideal for your rest. Built with a platform and a pergola, and steps to enter the lagoon. An excellent way to start your tours to the most beautiful corners, and to discover new and exciting activities like Paddle surfing. 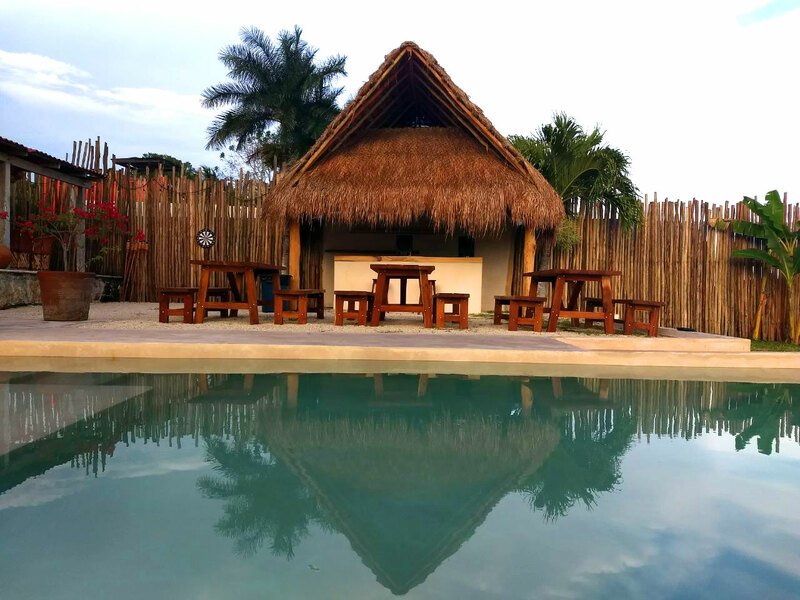 One of our many features is our palapa bar next to the pool and by the lagoon. 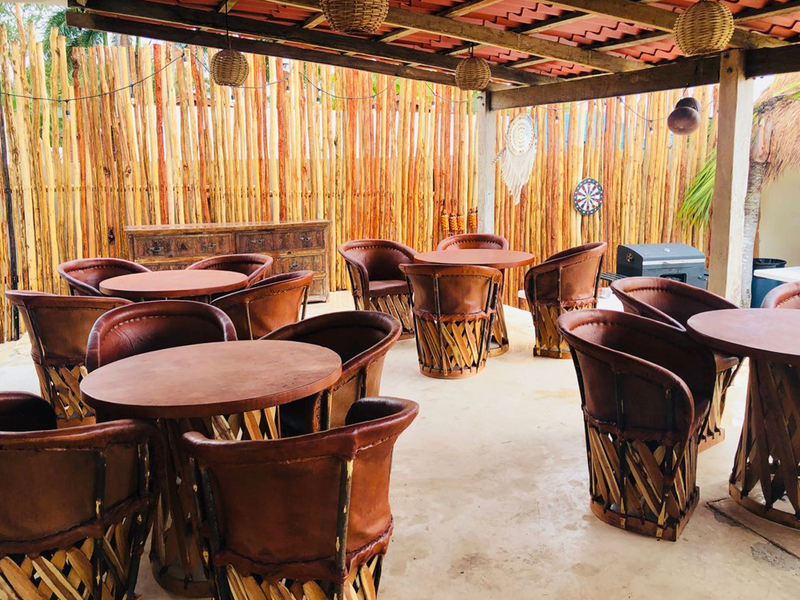 It’s always an enjoyable experience to have a cocktail, a soda, or a cold beer of the best brands in this little bar while admiring the spectacular landscapes of the Seven Colors Lagoon. Spend a fun and relaxing time in our splendid pool by the lagoon. It’s easy to relax completely in this spacious pool, equipped with lounge chairs so you can be one hundred percent comfortable, and enjoy of our delightful Caribbean weather. 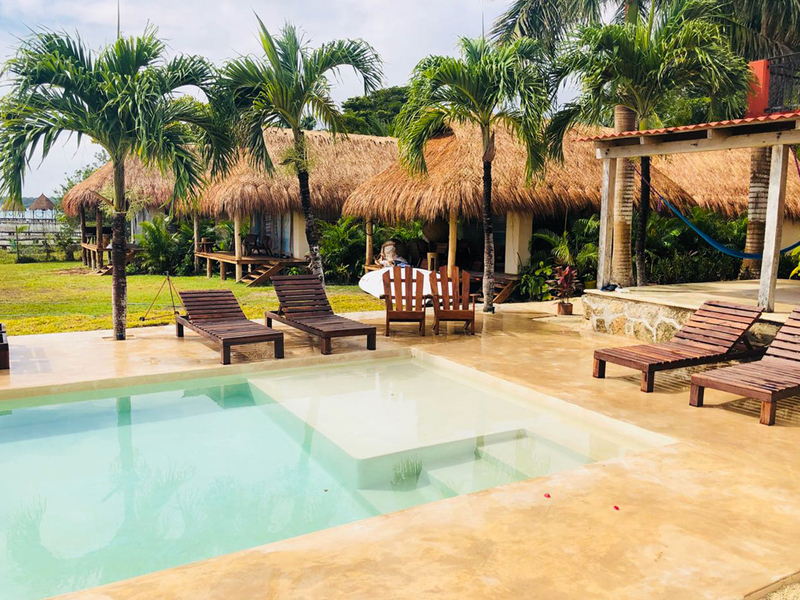 In front of the house we have a comfortable terrace, one of the best places in Casa Bakal to forget all about the problems and let yourself be enchanted by this quiet Magical Town’s atmosphere. It has fresh and comfortable hammocks, and everything you need to get a healing rest during your stay. Paddle surfing consists of rowing over a board. It might sound complicated, but actually with a quick instruction and a little practice you can easily master it. 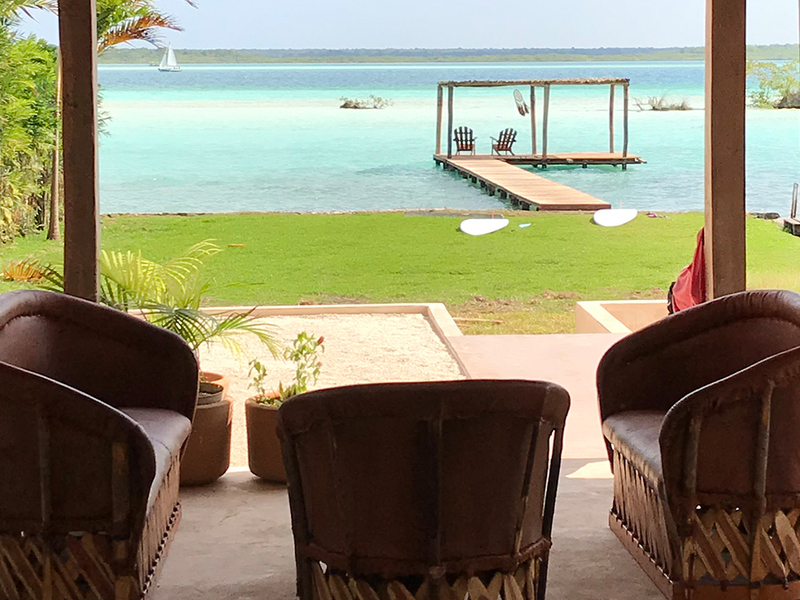 At Casa Bakal we have Paddle boards so you can enjoy the lagoon and be in touch with nature while basically ‘walking on water’. You’ll hear no other sound than nature itself. By far, an incredible experience. 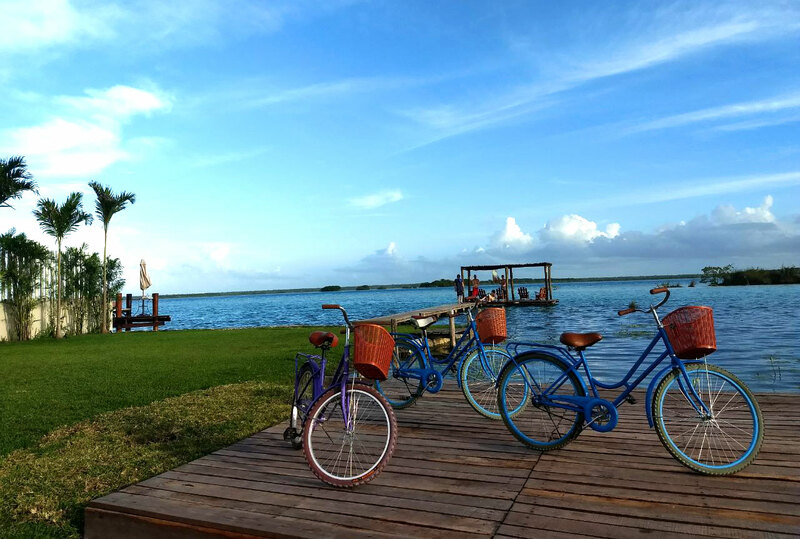 Get to know Bacalar on wheels. At Casa Bakal we have bikes for rent. Take a look to the history of this Magical Town. Discover the charm in its houses. Visit the ‘Museo del Fuerte’ in which you can learn about pirate stories. The lagoon will tell you everything about the Mayan people that used to navigate it, and you’ll find out secrets about ancient times. Start your adventure in Bakalar on wheels, admire the beauty of the Seven Colors Lagoon, and let yourself get wrapped by a relaxing and harmonious environment.